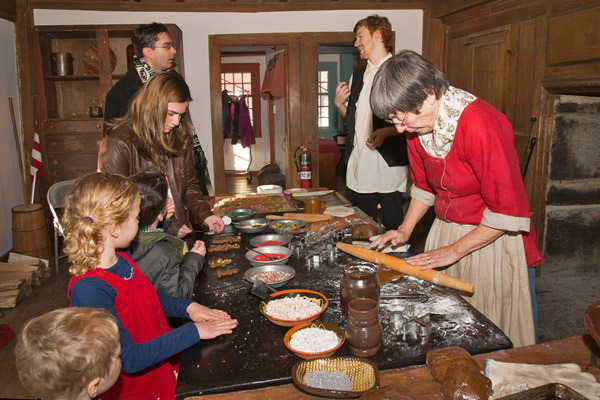 Annual holiday festivities returned to the Deacon John Grave House on Saturday, December 16th. 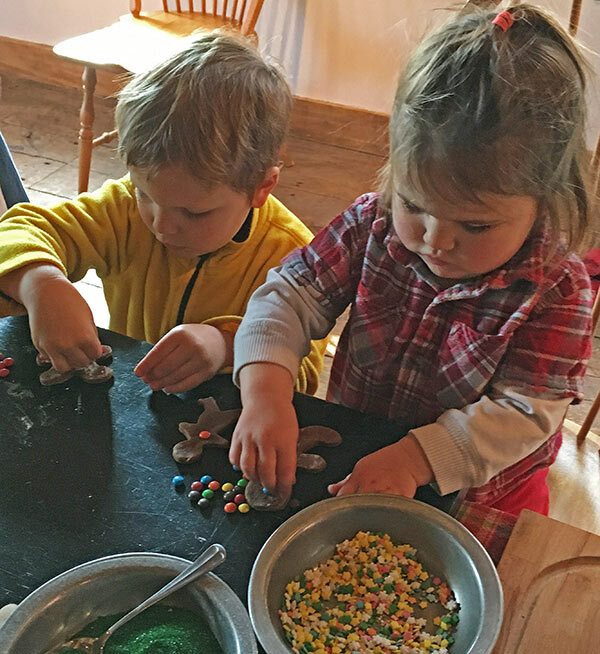 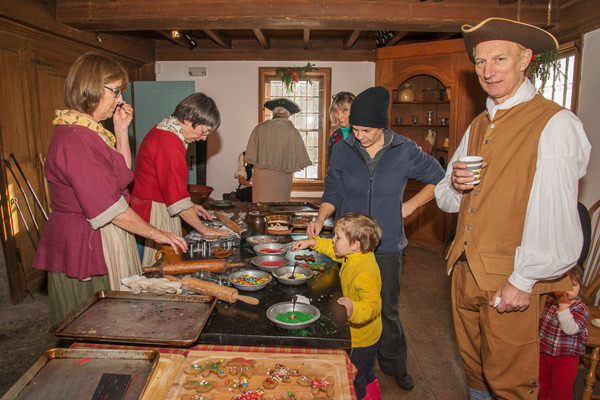 Families attending the rescheduled Children’s Holiday Open House found all of the seasonal activity and good cheer that folks anticipate finding at the Grave House. 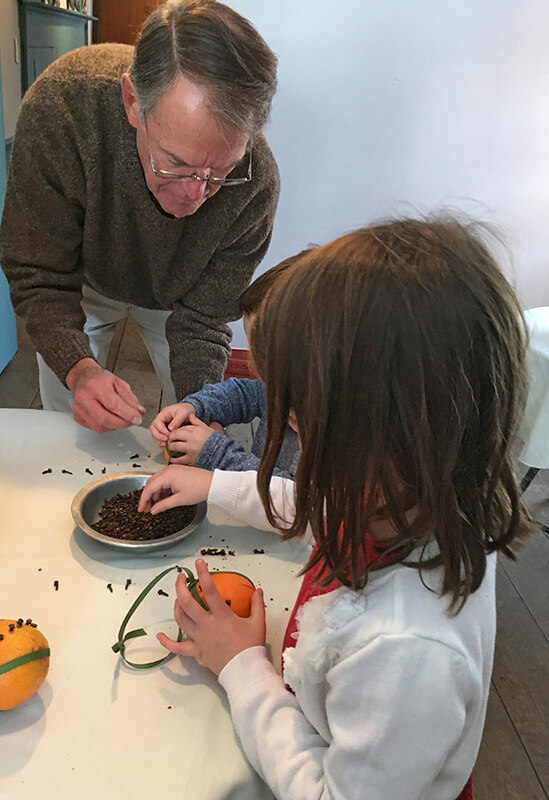 This was a hands-on event for all ages, with a special focus on activities for the Deacon’s younger guests. 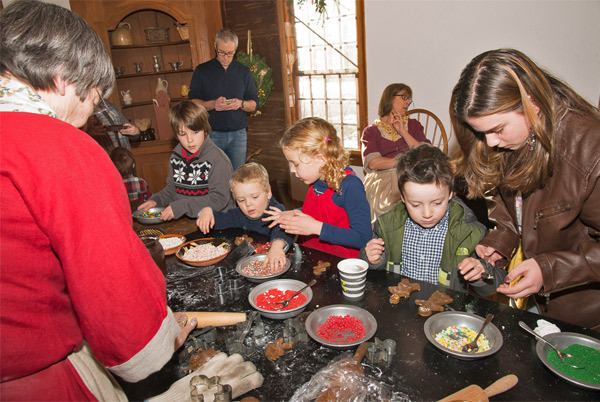 In the kitchen, the House board members had gingerbread families all set to decorate and bake in the hearth oven. 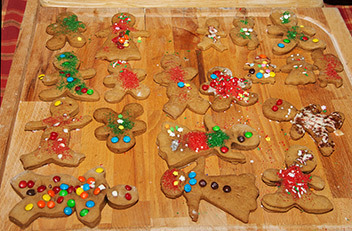 Cookie artists found it difficult to choose from all of the decorative options. 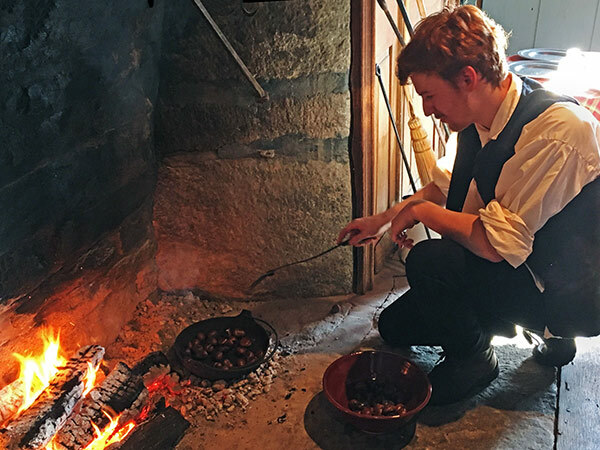 Many visitors directed their attention to the hot chestnuts that came fresh from roasting to be shelled and sampled, a traditional favorite. 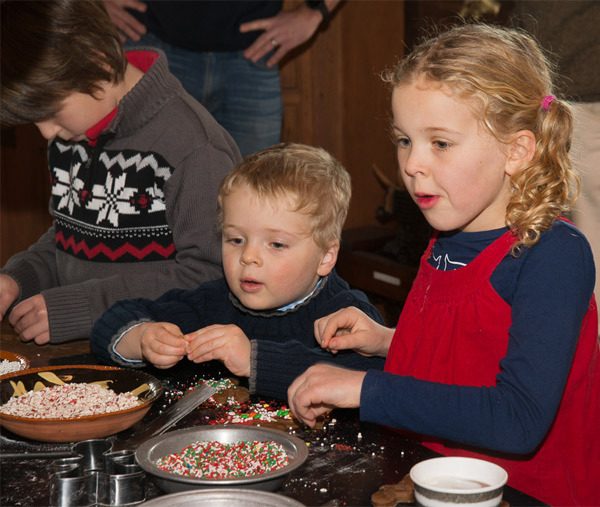 While waiting for cookies to bake, guests adjourned to one of the other decorated rooms. 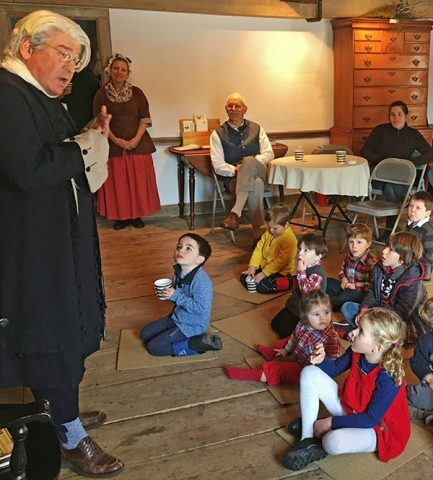 As a chaser for the chestnuts and cookies, the adjacent back room offered coffee and hot chocolate for settling into friendly conversation among those gathered. 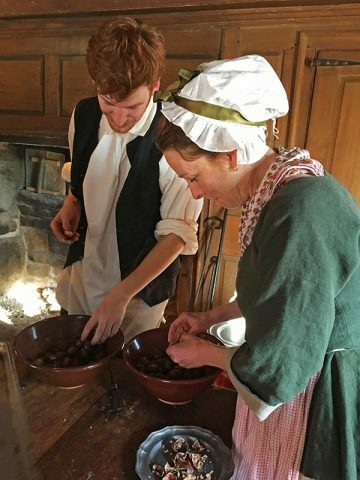 The fragrant scents from oranges and cloves beckoned visitors to the next room, where tables were set for the production of pomander balls to take home, as keepsakes from visiting the Deacon’s home. 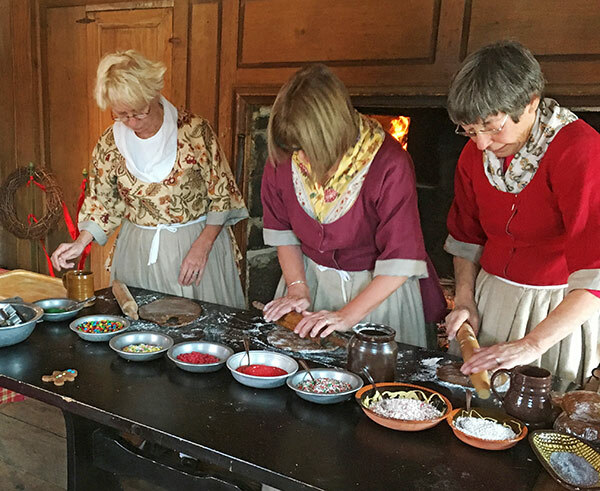 In the main room, guests found another hearth aglow. 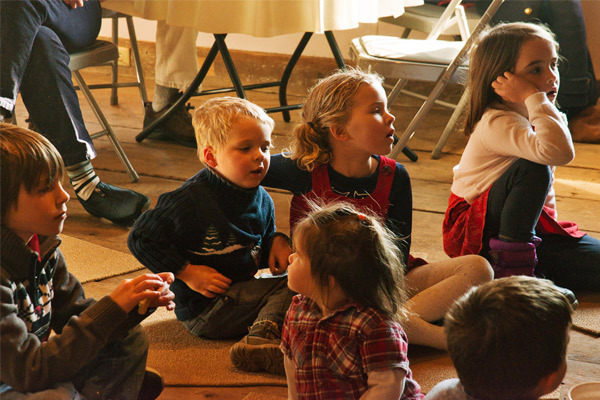 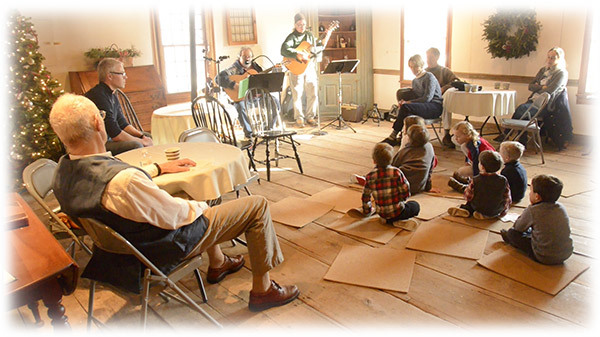 Here, musicians played guitars and filled the house with seasonal music, only pausing for stories by the Deacon. 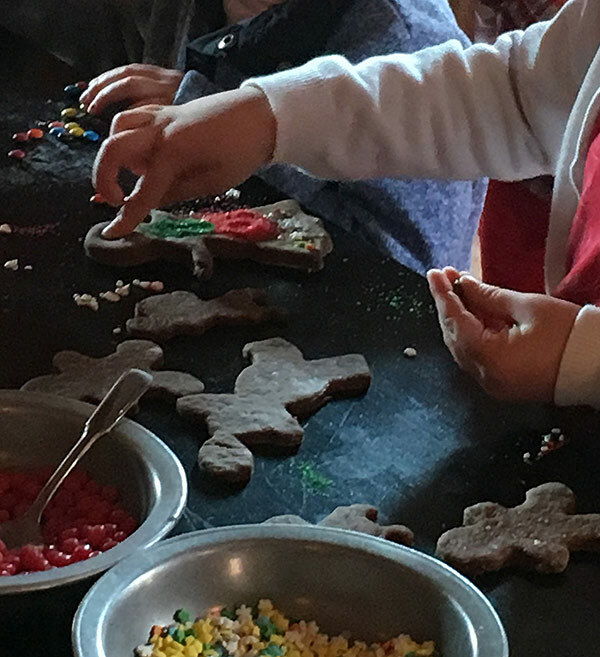 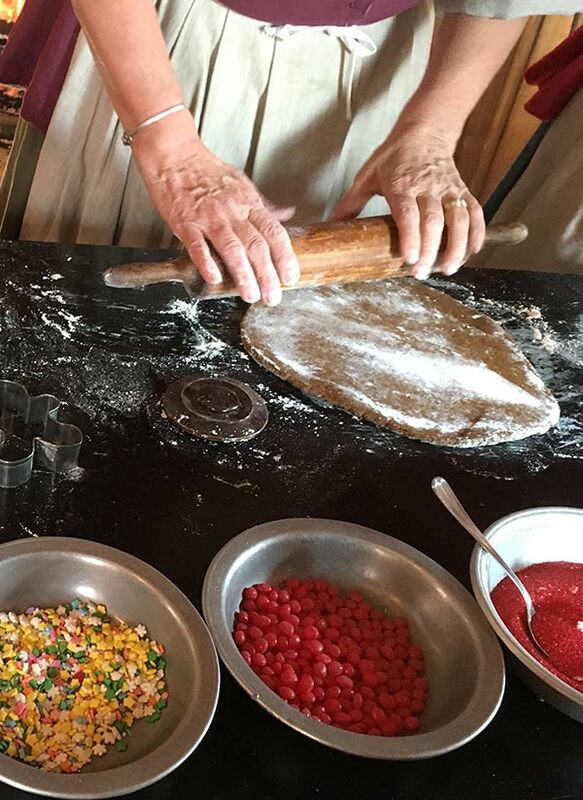 With stories finished, guests returned once more to the kitchen, where they identified their cookie creations to taste or to resist and wrap up for journey home. 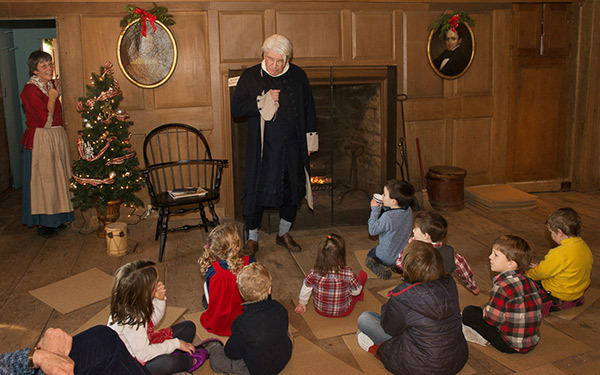 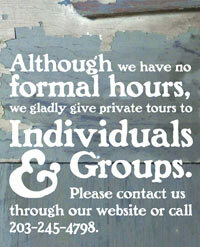 The Deacon hopes to see you next year for a Colonial Holiday at the Grave House. 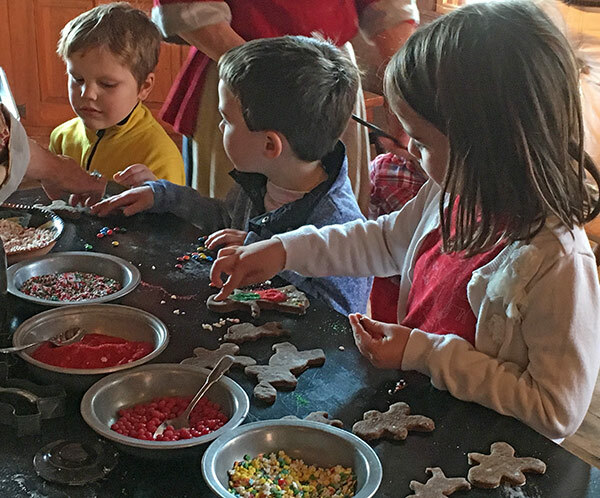 Happy Holidays to one and all from the Deacon!